If both Mrs May and the capos of the EU seriously believe that 17.4 million British voters will remain quiescent following a sell-out deal that screws our nation, our freedom, our economy and our rights they are away with the fairies. If the EU believe that Britain will be bound by treaties and agreements signed for Britain by a political cabal acting in direct contravention of their democratic mandate, a mandate conferred by the largest vote in our nation's history, they are deluded. Tomorrow, the day after, the year after, we will repudiate those shoddy and anti-democratic scraps of paper. Our government has an epochal opportunity to steer this realm on a new course, on a heading outwards towards the world, to the thrusting, bursting economic growth and vitality of Asia, India, South America, over the great oceans. If Mrs May abuses this chance and tries instead to ground us on a stinking rancid EU mudbank to rot like a hulk, she will not succeed. We will not allow this nation to be so abused, so mishandled. 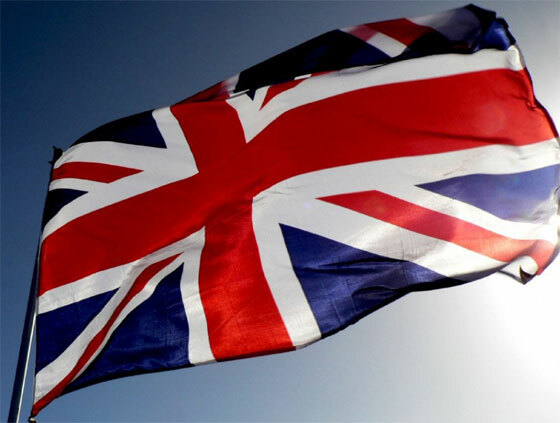 A political leader with an ounce of ability could have turned this into an opportunity to win national acclaim, international respect and achieve unity and political stability in the United Kingdom. Mrs May is not that person. A political leader of integrity and imbued with veracity who had promised the country many times that we were leaving the single market and customs union would have striven over every obstruction to keep their word. Mrs May is not that person. A political leader of courage, vision and probity would have led their party effectively despite the divergences of view within it, would have had the courage to appoint to their cabinet ministers who would support their promises made to the people of Britain. Mrs May is not that person. One message at least should be made crystal-clear to Mrs May and her shadowy global corporatist and EUphile backers - that we will NEVER accept this shoddy sell-out. 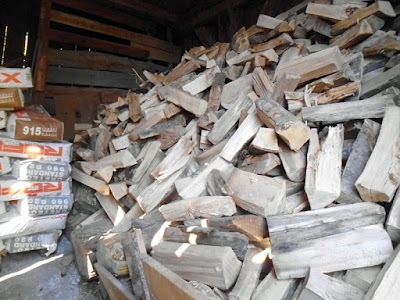 I must admit I was a wood novice before I moved here - in the UK, logs came in a sack and were for Christmas as an illegal supplement to the smokeless coal I normally used in my London Edwardian fireplace. Here, firewood provides the Autumn interest. The people of the valley take long walks on the hillside paths, estimating the size and quality of their neighbours' wood reserves. In Africa, wealth may be measured in goats; here, it's the size of your timber stacks. This week they've been thick as flies on the church road as I've been working - and having to answer several queries a day about (a) how much I paid for my bulk logs (b) who from (c) wood condition and quality. The consensus is that this year I've paid neither too little nor too much, and most have nodded in quiet satisfaction that their nephew / brother in law / wife's sister's mother could have got the same a little cheaper. All my heating, cooking and hot water comes from wood - so how does it figure out? An invaluable guide for the obsessional is the Wood Fuels Handbook pdf. I'll cut to the chase. - You have to feed the stoves. I have a 23kW central heating range cooker and a 7kW oven in the Winter living room. Each day you need to carry fuel indoors, and feed the beasts every 30/40 minutes. And no, you can't turn it on remotely with your i-phone at the airport so the house is hot when you get home. - You need to plan. You can't burn wood on a low setting - it buggers the flues and creates tar deposits. You need a high temperature burn, so you need to capture the heat in a thermal store which then supplies radiators and underfloor heating. Cooking and living need planning. - You need to clean the ash out and dispose of it daily. - You need somewhere to store it. - The smell of woodsmoke - as Austrian as a dirndl. I love it. - Having all your winter fuel in advance, safe from strikes, Putin, price rises etc is wonderfully reassuring. * and a rifle. Even sweet old ladies will have a Moisin-Nagant and 200 rounds in the hall cupboard. Like the US, Austrians have a right to bear arms - except pistols and semi-auto weapons. Unlike the US, they very rarely shoot eachother. Posting is light this week as it's dry and warm and I have 6m3 of Red Beech to cut and stack in the little barn. Jeremy Hosking, a City financier and major Tory donor, has carried out private polling in a number of seats that shows “clear support” for a new party that would help achieve “what the electorate thought it would be getting”. Others are thinking carefully about similar options if May decides to keep us permanently in the customs union. A Vote Leave-style party could grab 30-35 per cent of the vote in swathes of the country, destroy the Tories and win seats even in a first past the post system. I don’t wish for this outcome: Corbyn would seize power, with cataclysmic consequences. It would be infinitely better if the Tories could do what they do best, come to terms with Brexit, find a new language to sell capitalism and reinvent themselves, absorbing and civilising the new populism. The question is: do they have the guts to listen to the voters? Or do they have a political death wish? 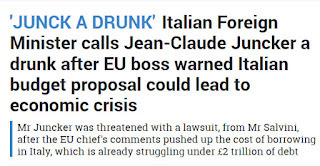 In these desperate times, my only hope is for the Eurozone economy to collapse before Corbyn comes to power. Eighty years ago, on 29th September 1938, Britain's then Prime Minister signed an agreement with the German Leader, Adolf Hitler, that signed away large areas of western Czechoslovakia to the German Reich. The Czechs were not consulted. There was a pretext for the land grab; the areas in question were largely inhabited by Germans, Volksdeutsch, who were suffering from discrimination, harassment and victimisation at the hands of a nationalistic Czech nation. In 1945 the Czechs, together with every European nation that suffered under the Third Reich, took their revenge. Up to 14,000,000 ethnic Germans, most of them women and children, were expelled from homes and communities, some of which had been settled since the twelfth century, in the largest such movement in human history. Between 500,000 and 1,500,000 died * - of cold, hunger, mass murder, locked in cattle trucks or confined in the concentration camps that had just been liberated. This ethnic cleansing was carried out under the noses of and with the full knowledge and consent of the allies. The extent of this shameful post-war inhumanity is little known, even in Germany. For my young German chums it puts into context oral history from older relatives, post-war episodes they had regarded as isolated incidents, as this post-war ethnic cleansing is barely taught in German schools for fear of stoking the embers of German nationalism. In our own lifetime's experience we have seen in the Balkans how swiftly Europe can return to savagery and primitivism; friends and neighbours, who had lived together for generations, turned on eachother on ethnic lines. The men shot, the women and children turned out on the road, their homes looted. Before the 20th century, national consciousness was minimal. 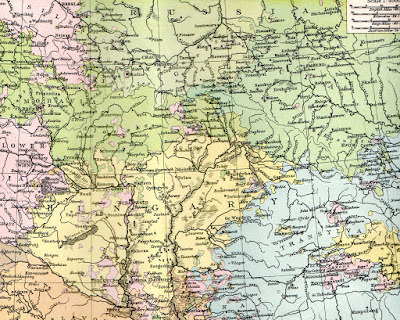 Communities of ethnic Germans (pink on the map) thrived in eastern Europe, some areas the size of Norfolk, complete with German schools, cultural infrastructure and few problems with their neighbours. Versailles and the drawing of national borders on ethnic lines sowed the seeds of a violent nationalism, not only German but Polish, Czech, Hungarian and so on, that drove the ethnic hatreds of the second war. 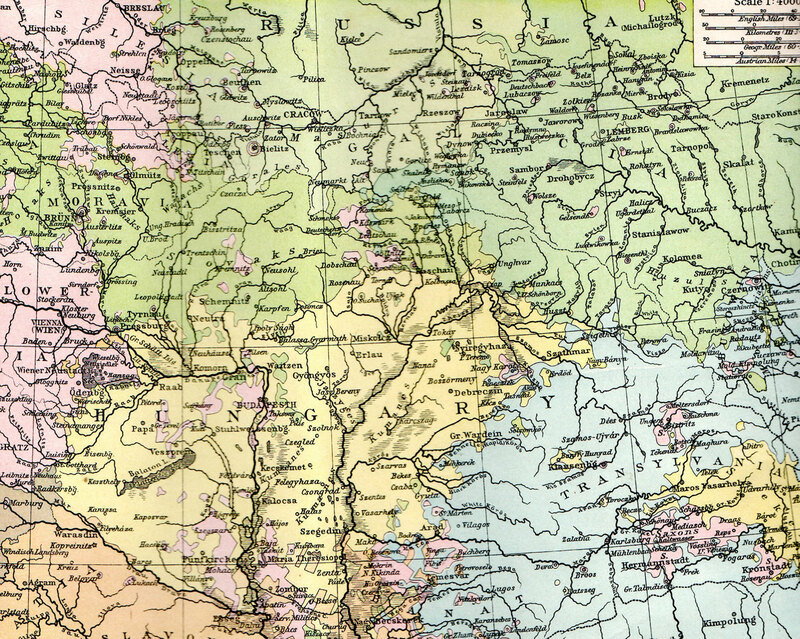 You may notice one small Volksdeutsch community on the map, to the west of Krakow. A place called Auschwitz. And although I can understand why many of those who support the EU do so because they believe the EU's open borders, Shengen and freedom of movement can return us to those idyllic halcyon pre-1914 days of no passports and live where you will, too much has changed for that ever to be possible again. The twentieth century and its post-war ethnic cleansing established national identity more strongly than ever before; in the 19th century, Europe was an ethnic and linguistic hotch-potch. At the end of the twentieth a Ruthenian of German origin and a South Tyrolean of German origin could not even talk to one another. And now in the twenty-first century we walk a razor edge between proper patriotism and dangerous nationalism, between beneficent internationalism and destructive globalism. Already, the anti-tourist graffiti is going up on walls from Venice to Valencia, and the knuckle-dragging ethnic purity thugs are pulling on their boots. The EU changes course more slowly than the largest supertanker. 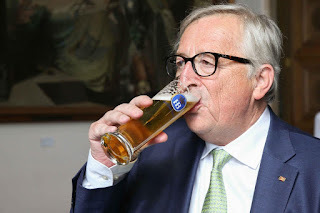 The longer Brussels pursues the notion of a homogeneous Europe, a Europe devoid of national identities, the more they stoke the dangerous fires of nationalism in Europe's nations. Ever closer union - or attempts to force it on the people of Europe - can have only one outcome that I can see, and that is the conflict that for seventy years we have avoided, through NATO and consumer capitalism. Please God they see their folly before it's too late. 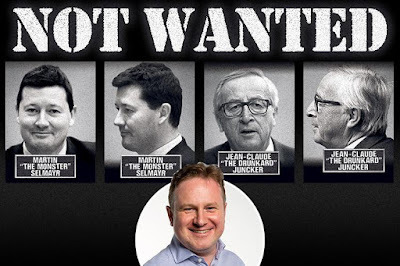 Like all anti-democratic authoritarian regimes, the EU can't stand criticism. A robust democracy such as our own makes space for savage satire, popular contempt, the slings and barbs of insult, the razor-pens of cruel cartoonists and the dagger-words of writers. The discomfort of our politicians and others who place themselves in positions of power over us is the price they pay for the nation's long-term political stability, the engagement of voters with politics and a healthy democracy. Hence, as I've examined below, Britain's lack of criminal penalties for defamation or abuse of politicians and State officials. However the EU, in the words of one of our finest comedy writers, don't like it up 'em. And they're gearing-up to censor it. First Věra Jourová, the unelected EU official in charge of Justice, indicated that the EU had plans for press regulation to deal with an impertinent press and media. Then, Herr Tusk complained about a 'lack of respect' by the British press for unelected EU officials (in this country, chum, respect must be earned). And finally, yesterday, Herr Juncker himself chipped in with “The British press is such that I will not miss it. It is, in part so, that they do not respect the human rights of political actors at all. Press freedom also has its limits … One should not bring people in privacy in distress.”. 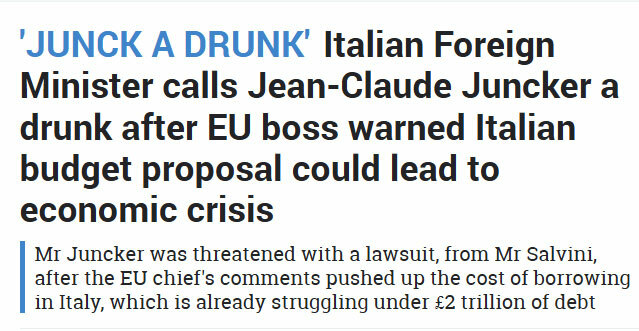 But those unelected EU officials should take care. Every regime in history that censored what its people wrote and said about it fell. Just thank God that from March next year their nasty repressive little laws and corrupt courts hold no sway in Britain.